This Bike Spoke Reflector is brought to you by kikkerland Design Inc., where creativity apparently runs rampant and simple gadgets turn into clever innovations. In this case, the creativity is applied to turning wands of light on the spokes into a complete and solid band of light. 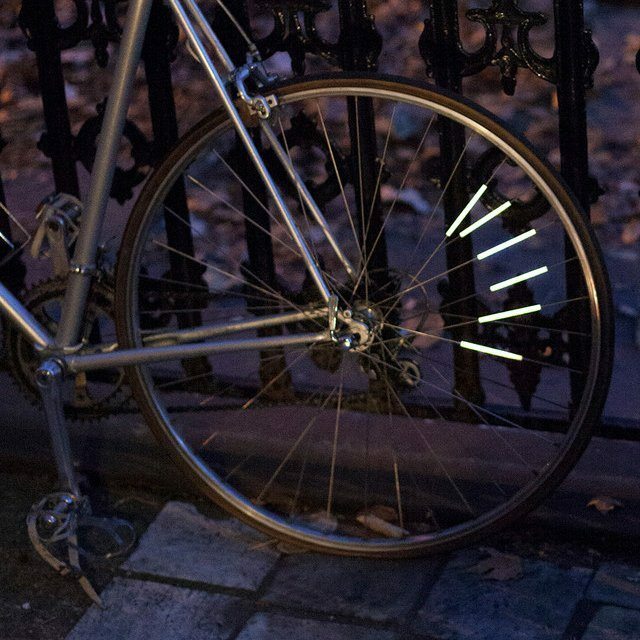 If you apply a bunch of these reflectors to the spokes in a wheel, it turns into a solid circle of light when you’re riding the bike and the wheel is turning around fast. Then there’s also the safety factor, because these puppies are visible a long way off to other drivers from any angle. It makes night riding much safer because there’s no way a motorist wants to mess around with a spinning band of light.